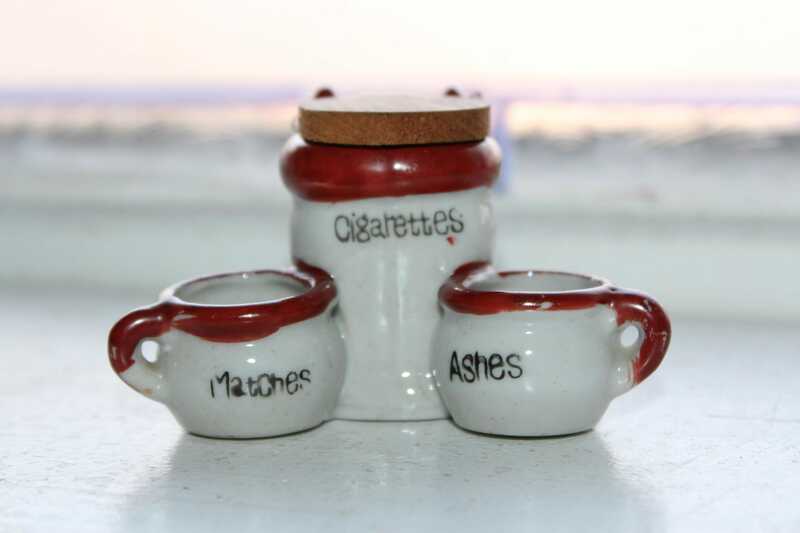 This is a vintage miniature chamber pot and commode ashtray set for ashes, cigarettes and matches. 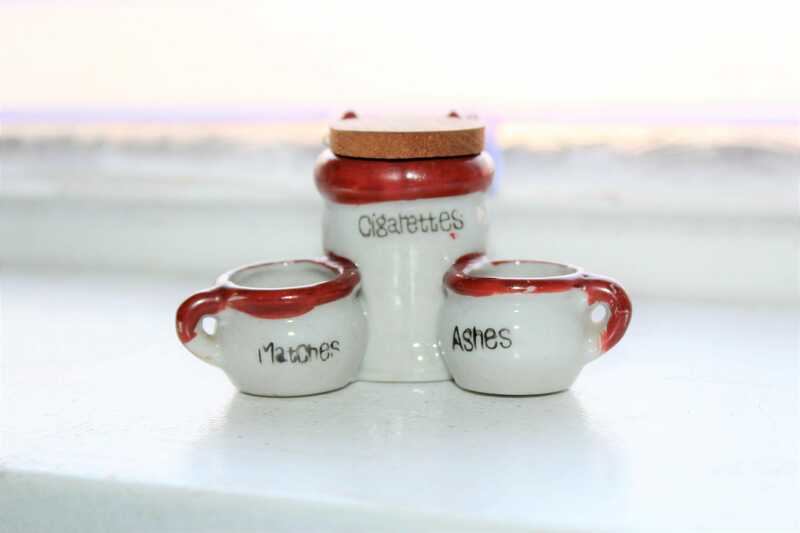 I know, it's a bit odd, but makes a fun gift. 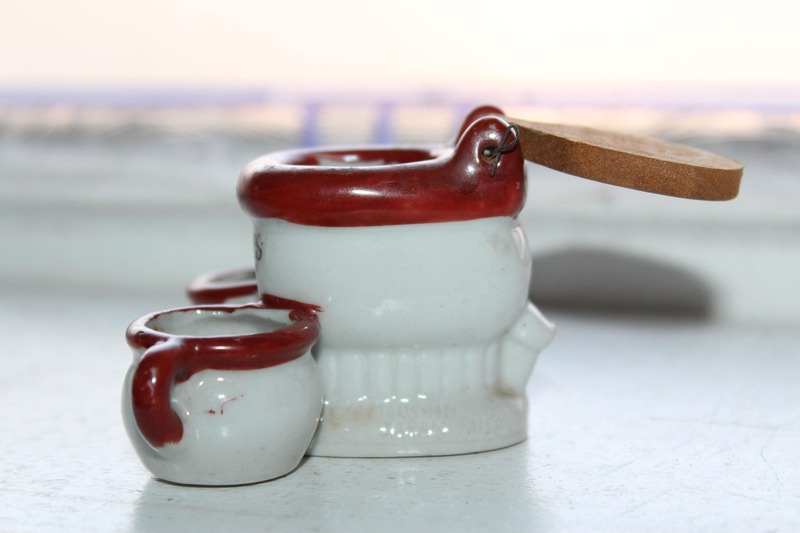 It measures 2" high x 3 1/4" wide. 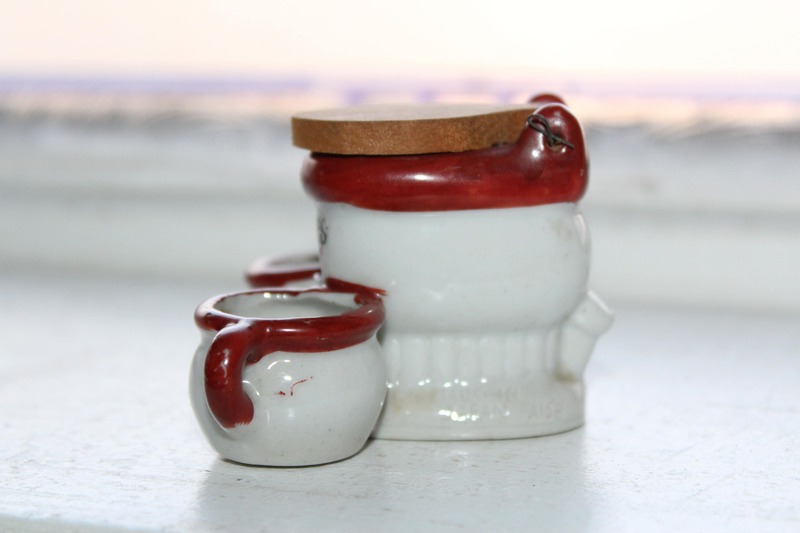 It's part of a collection of miniature chamber pots and commodes/toilets that I purchased at auction- again, I know, odd, but what the heck... Enjoy!